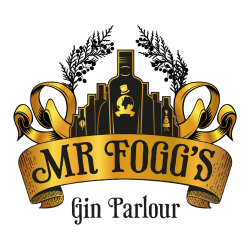 Enjoy a Cocktail and selection of Cream Cakes for £27 at Mr Fogg’s Gin Parlour in Covent Garden. Housing an impressive plethora of gins, tonics and botanicals, the refined space boasts a collection of over 150 gins, from known favourites to rare and uniquely selected gins. The parlour, once the home of Fogg’s beloved Aunt Gertrude, features beautiful and traditionally upholstered furniture, alongside eclectic trinkets adorning the walls. Revel in delightful sweet treats and sip on an exquisite cocktail made by the spectacular parlour staff, as you enjoy a selection of decadent cream cakes. Choose 1 cocktail from below and enjoy the selection of cakes Monday to Friday from 4.01pm to 6.31pm for £27 per person. Simply show your TKTS or Official London Theatre ticket at the restaurant. You can book a table in advance online. Terms: Offer available with presentation of a valid Official London Theatre or TKTS ticket or confirmation email. Available Monday to Friday from 4.01pm to 6.31pm. Offer is £27 for one cocktail and the cakes per person. Available at Mr Fogg’s Gin Parlour in Covent Garden branch only. Subject to availability.